The Buff Bulletin Board, a listing of campus announcements, is a service of Campus Communications. Please send your feedback on the two finalists for the Graduate School dean to gsdeansearch@colorado.edu by Sunday, April 28. Ann Schmiesing, senior vice provost for academic resource management, to whom the dean position will report, will review all feedback beginning the week of April 29 and is expected to name the new graduate dean the week of May 6–10, with a start date of July 1, 2019. Information on candidates Bud Coleman and E. Scott Adler is posted on the graduate dean search committee webpage. A technical issue related to email distribution of the Transportation Master Plan survey invitations on Monday led to the emails failing to send to a small portion of students, faculty and staff. New invitation links are currently being resent to all who did not receive the survey on Monday, as well as reminders for those who received the invitation but have not yet taken the survey. If you do not receive an invitation to take the survey today, please email mplan@colorado.edu directly so the issue can be resolved. The TMP survey remains open through Thursday, May 2. The Office of Undergraduate Education welcomes applications for assistant vice chancellor, a role that provides leadership and coordination for student success activities and initiatives, including the first-year seminar program and first-year interest groups, math placement, midterm feedback and analysis of persistence data related to student success initiatives. 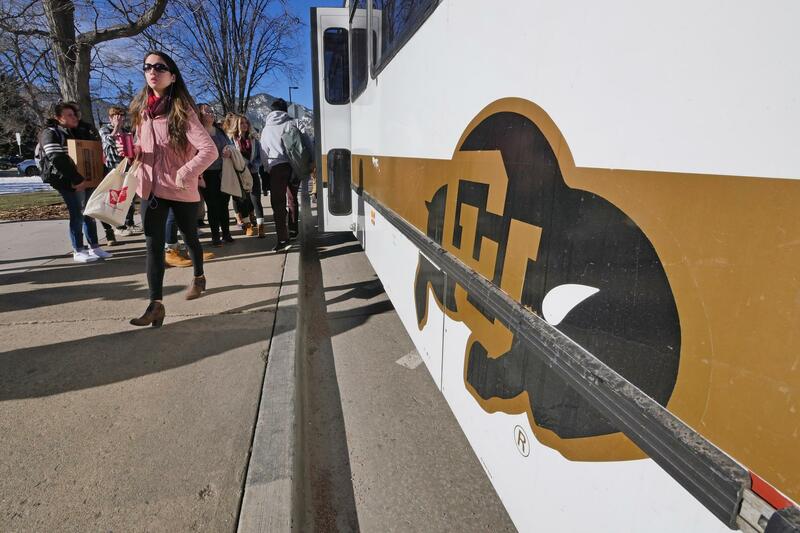 Based on many comments from staff and other information gathered on CU presidential finalist Mark Kennedy, Staff Council received a request per its bylaws for a special meeting. The special meeting was held on Thursday, April 18, which yielded a robust discussion of the diverse views of the Staff Council community as brought forth by the representative body. The resolution was voted on and approved by the majority of the council. Now Staff Council would like to give you the opportunity to send your feedback via https://cuboulder.qualtrics.com/jfe/form/SV_0SCkDPEgyoEiLrf. This link will also allow you to sign your name to show support for the resolution, if you feel so inclined. Apply by April 24 for the 2019–20 cohort of the Making Teaching and Learning Visible (MTLV) Project. Upon completion of a course portfolio in May 2020, the MTLV faculty researcher will receive an award from Provost Russell L. Moore in the amount of $750 in their research account. MTLV faculty work together through a structured program to gather evidence on student learning, evaluate and reflect on their pedagogical practices and document their findings in published MTLV course portfolios. The Faculty Teaching Excellence Program provides the framework and resources to support you through this intellectual endeavor to enhance teaching and learning at CU Boulder. For more information and to see examples of MTLV course portfolios visit FTEP’s Making Teaching and Learning Visible website. Chancellor DiStefano invites you to explore the future of life in outer space with CU Boulder faculty and alumni experts. Please make plans to join us Tuesday, April 23, from 5:30 to 8:30 p.m. at the Sheraton Denver Downtown Hotel for the 4th Annual Aerospace & STEM Summit. Our experts in the fields of aerospace, geosciences and engineering will dive into questions like, "Will future generations be living and working on the moon or on Mars?" and "What will it take to do that safely?" Plus, connect with our industry partners like Lockheed Martin, Ball Aerospace, United Launch Alliance, Harris Corporation and more. Tickets to the 4th Annual Aerospace & STEM Summit are just $10 and include event entry, heavy appetizers, a drink ticket and dessert. Students get a 50 percent discount with code GoBuffs, don't miss it! Are you a historian who cares about the major environmental problems that are central to the experience and history of the American West? Become a leader in this exciting trend of expanding the opportunities to engage wider audiences in historical reflection! The Center of the American West with the support of the Andrew W. Mellon Foundation is implementing an Applied History training program. 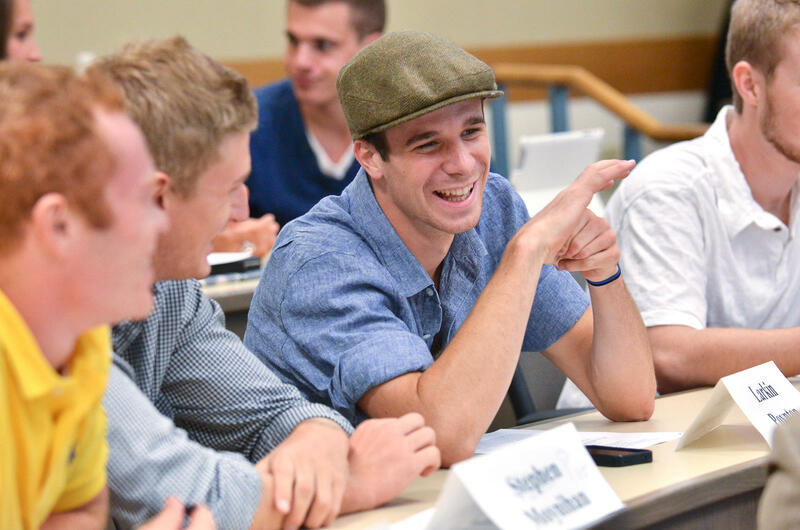 This program will train history postdocs and adjunct faculty to become applied historians who can draw on the expertise of scholars from a range of disciplines to reach a wider audience. The center is accepting applications now through June 30, with results announced by the end of July. Apply now. Students: Participate in a focus group on messaging about sustainability on campus. Answer open-ended questions and share your thoughts, opinions and motivations for one hour, and earn $10 Campus Cash or a meal card good for one meal swipe at any campus dining hall. Come at either 1–2 p.m. or 3–4 p.m. on Monday, April 22, in CASE W313. The Emotive Computing Lab at CU Boulder is looking for participants for a study of eye movements during reading. A visit to the lab, which will be scheduled at a mutually convenient time (lasting one hour and 15 minutes) for a $20 Amazon gift card. A week later, we will email you a follow-up questionnaire to complete online remotely (lasting 30 minutes) for a $10 Amazon gift card. If you are interested in participating, please contact Julie Gregg at eyetrackingandreading@gmail.com for more information. We are looking for healthy men to participate in a research study on the effects of sleep restriction on bone density. If you are interested in participating in the “SIIB” study (Sleep disruption-Induced Impairments in Bone Formation), email Emma Tussey at sleepybonehead@ucdenver.edu for study details and ask about the SIIB study. Volunteers are needed for a study at the Hearing and Epidemiology and Research Diagnostics Laboratory investigating potential effects of cardiovascular health on the auditory system. We are recruiting adults ages 35–55 years with two or more of the following: Type 2 diabetes, high cholesterol or use of cholesterol-lowering medication, high blood pressure or use of blood-pressure-lowering medication, or current tobacco smoker. Participants will receive a comprehensive hearing evaluation and physical examination with blood draw. Participants are compensated $15 per hour for up to five hours of testing. Interested? Email Amy Sanders at heardlab@colorado.edu or call 303-735-7127 to see if you qualify or for more information. Have an idea for a cool T-shirt design? Senior Class Council is seeking designs for the official 2019–20 senior T-shirt. If chosen, your submission will be the official design for the CU Boulder senior T-shirt and will be sold in the book store and at other events on campus. Proceeds will go toward events for the senior class. The T-shirt should be able to be printed on black fabric and include as few colors as possible. The deadline for submission is Monday, May 6. Please email submissions or questions to SCC@colorado.edu. The Department of Human Resources at CU Boulder welcomes applications for a Service Center HR coordinator. This individual serves as a significant resource and advisor to assigned departments on faculty, staff and student-related personnel and payroll processes. The successful candidate will recommend and advise on necessary methods to efficiently expedite all personnel and payroll related issues. Additionally, the Service Center HR coordinator will serve as a significant resource for interpretation and implementation of school, department and university policies and procedures regarding faculty, university staff, classified staff and student personnel, and will collaborate with the centers of excellence to provide a wide-ranging repertoire of HR services to campus constituents. Salary range starts at $40,000. Bachelor’s degree. Related experience may substitute for the degree on a year for year basis. Please apply by April 22, 2019, for consideration. Log in to MyCUInfo portal. Navigate to the CU Resources tab. Select the CU Boulder Jobs tile. Search "Service Center HR Coordinator" or "17385." The Cognitive Development Center in the Department of Psychology and Neuroscience is looking for children ages birth to 12 years old who are interested in playing games that will help teach us about self-control, language and cognitive strategies. A visit, scheduled at your convenience, lasts about 60 minutes. Babysitting is available for siblings. Parents are compensated for travel, and kids receive a fun prize. Email cogdevctr@colorado.edu with your child’s name, gender, date of birth and parent contact information (address, phone number, email address). For more information, feel free to check out our Facebook page and website. 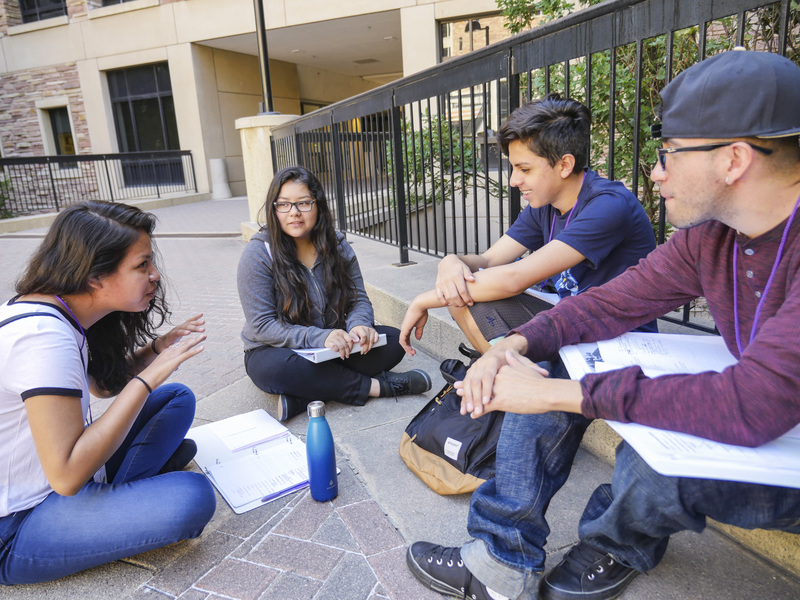 The Children, Youth and Environments (CYE) Award, up to $5,000, will be given to support a place-based Participatory Action Research (PAR) project focused on young people ages 18 or younger. Faculty, staff and graduate students may apply. Applications open April 15 and close April 29.